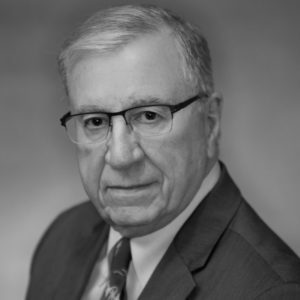 Nicholas “Nick” Guttilla has been in the private practice of law since 1975. He has developed an extensive liquor law practice representing individual and corporate clients, including liquor distributors/wholesalers, importers, and retailers such as grocery, drug and convenience stores, restaurants and bars, homeowner associations, golf courses, and fraternal organizations who wish to buy, sell and/or operate liquor licenses, or those who need assistance with compliance issues. His representation is tailored for each client and may involve the provision of written legal advice, opinion letters or general guidance related to Arizona liquor laws, as well as representation in the liquor application process before federal, county and local governments, and licensing and compliance issues with the Arizona Department of Liquor Licenses and Control. Mr. Guttilla also represents clients at administrative hearings, State Liquor Board hearings, Superior Court and the Court of Appeals in cases involving a variety of regulatory issues related to the issuance, or threatened suspension/revocation and fines, of liquor licenses. Nick regularly assists liquor and other clients in forming business entities for their Arizona businesses, and he assists the Department of Liquor and attorneys with changes to legislation regarding Title 4 liquor laws and Title 19 administrative rules regarding liquor. Additionally, Mr. Guttilla has had many years of experience representing court-appointed receivers particularly in matters involving the receiverships of insurance companies. Nick has formed and dissolved numerous Arizona insurance companies and has assisted in the withdrawal of Arizona insurance companies. He has also served as an Administrative Hearing Officer for various State agencies including the Arizona Department of Liquor License and Control, Arizona Land Department, Arizona Personnel Board, Arizona Osteopathic Board and the Arizona Board of Psychologists. 1969 – 1975—Assistant Attorney General for the State of Arizona, Civil Division, representing state agencies including the Arizona Department of Liquor License and Control, Arizona Department of Insurance, Arizona Banking Department, Arizona Medical Board and a number of other administrative boards and agencies. Admitted to the Arizona Bar Association in 1966.